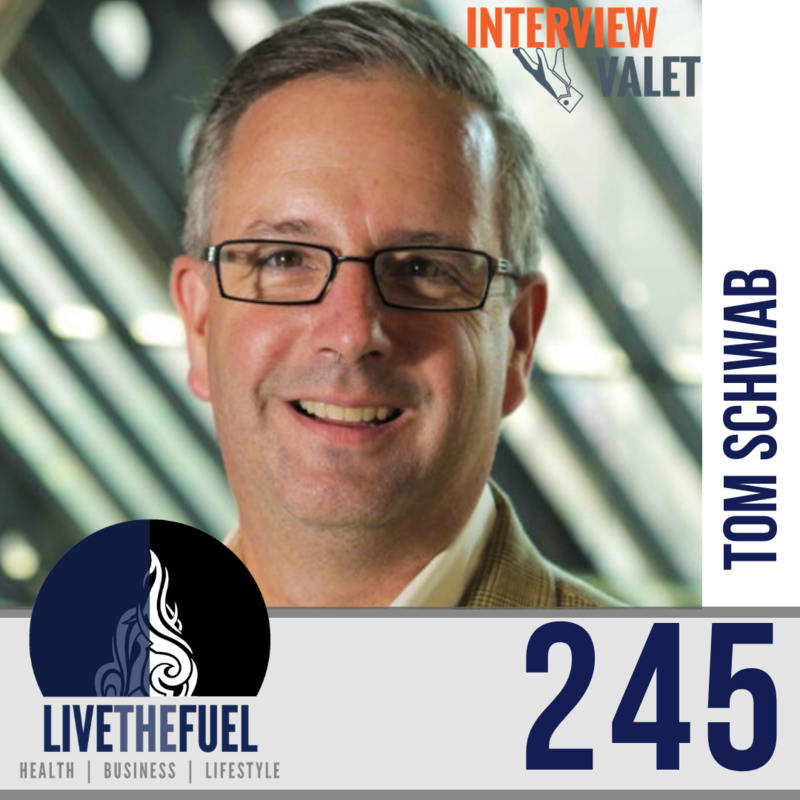 Tom Schwab, the founder of Interview Valet, knows how to build an online business. Marketing at its heart is starting a conversation with someone who could be an ideal customer. Drawing on his engineering, corporate, and e-commerce inbound marketing experience, Tom helps thought leaders (coaches, authors, speaker, emerging brands) get featured on leading podcasts their ideal prospects are already listening to. Then he helps them to turn listeners into customers. Author of PODCAST GUEST PROFITS: Grow your business with a targeted interview strategy. 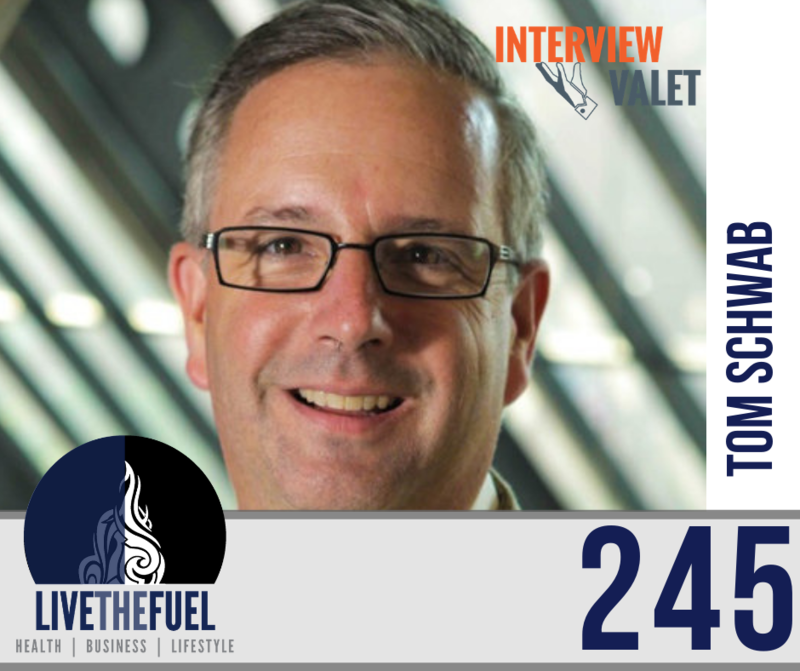 Tom is also Founder of Interview Valet, the category king of Podcast Interview Marketing. Help Others Give Back With Increased Influencers. I guess what it comes down to is something I learned a long, long time ago. What’s ordinary to you is amazing to others. And I think we all underestimate what we know. And I can think of back when I was in the Navy, you could tell somebody that was new on the aircraft carrier because they would climb all the way up to the superstructure to watch the planes take off and land and then after about three days you’re like it’s normal I’m not going to do all that but yet you get off the ship and people like to watch the planes not just ordinary to me we underestimate what we know and just remember what’s ordinary to you is amazing to others and today it’s never been easier to share that with somebody to help them with it as a podcast host as a podcast guests on social media whatever you do you know help people connect with them introduce a new person a new idea to them it’ll make their life better and it will make your life better too. [09:00] Strategy and more strategy, or why are we doing this? [19:17] We had a client and there’s a great book out there called Clicksand how digital marketing is ruining your business by Bill Troy. And I think people will come back and point to that book and say he was the first one that said the emperor has no clothes. And his point was, is that a lot of what is being sold is vanity metrics. And it’s hurting your business. I love how he said in there that whales don’t click. And big fish don’t go through funnels, right. If you think you’re going to sell the CEO or the CFO of a company on your tripwire product in order for him to come in, and then, you know, give you that that million dollar contract. It’s not going to happen. [31:00] There are some people that like Gary Vaynerchuk, who was one of those early ones that did a podcast and video. Well, some people just want to watch him talk. So they’ll do that. Somebody asked me one time, what’s podcast now? 40% of the US population listens to podcasts. [40:50] Different people need different things. I mean, we’ve got some that are, you know, spokespersons for Fortune 500 companies. Other ones are authors that are just starting out, you know, some of them, are keynote presenters. So, it’s not like you take them all through the same thing. But as we do some practice interviews, we will point that out. I.e. here are some different things to do because podcasting is different than other mediums.